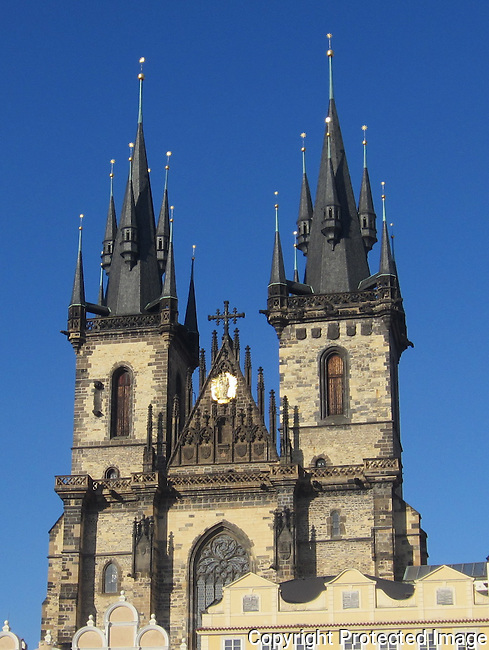 The Church of Our Lady in front of Tyn is in the Old Town of Prague, Czech Republic. It has been the main church of this part of the city since the 14th century. The church's towers are 80 meters high.